Eeeew! This is my reaction to this disgusting-sounding title. However, this post is not really going to be about slimy creatures living inside the crevices of our inner ears or about long squiggly worms “gracefully” cascading down from the openings in our ears. “Earworms” is a word coined within the last decade used to describe catchy phrases, jingles or songs that get stuck in our minds – and while there are replayed over and over (and over) again. 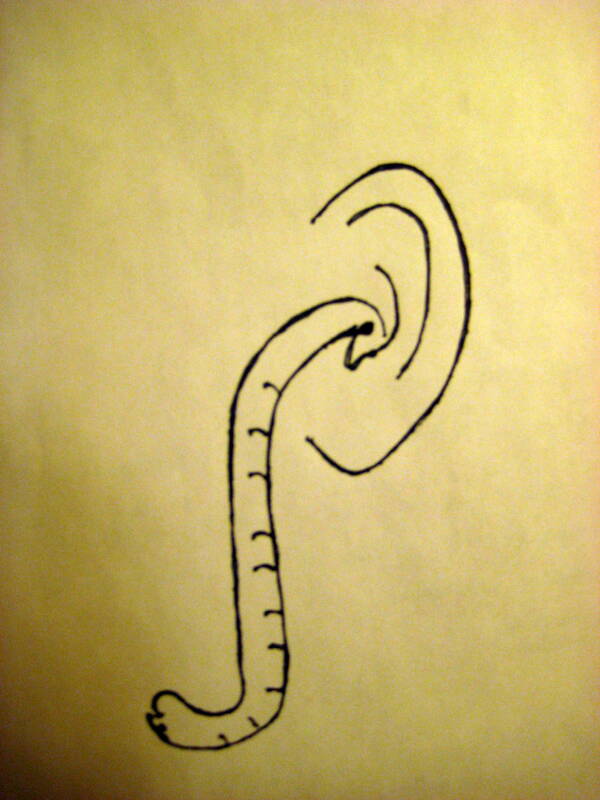 Several recent happenings brought “earworms” to my attention. One is an article I read yesterday, while in the Zurich airport, in a magazine entitled “Hear the World”. (My mother was deaf the last twenty years of her life, so articles about hearing often catch my attention). This particular article was about “earworms” – what causes them (they don’t know) and how to get rid of them. Also, this past weekend my oldest granddaughter, who was visiting us, began to sing a jingle from an advertisement for a jewelry store – “Every kiss begins with Kay”. As she was singing I began to randomly say the word “Kay”, and then give her younger sister (who was sitting on my lap) a kiss each time I said the word. This brought on laughter, which brought on more spoken “Kays” followed up with kisses. Unfortunately, I was left singing this little ditty in my head all day long. Now that I have mentioned it, if you are familiar with the song I may have just passed this annoyance on to you. Similarly, If I were to write a paragraph encouraging you not to think about a red airplane – and then kept repeating instructions, “don’t think about a red-colored airplane” – chances are you would have it clearly pictured in your mind. When I keep scriptures, songs and righteous “good thoughts” in my “arsenal of memory”. they prove again and again to be antidotes for having the “sinworms” take me captive. These “sinworms” are far more destructive than “earworms”, which can just be annoying. Either way, I never have liked worms. This entry was posted in My Morning Cup, Recent Posts, Uncategorized and tagged breaking habits, change, earworms, thought patterns by jeanieshaw. Bookmark the permalink.